batiks. 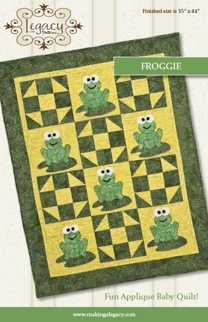 These cute frogs will be a great addition to any nursery. Finished size is 35" x 44".